He explains that some folks are struggling in life. They may be scrambling just to keep their head above water financially. Other people are doing well. They’re working hard to have a better life. They’ve reached a level of stability in life that the world calls them successful. In a very real sense, this was the quest of The Preacher in the Old Testament book of Ecclesiastes. He was searching for meaning in life. What is good? What will satisfy me? And make me happy? He experienced all that life could offer. Pleasure. Wealth. Wisdom. Success. And yet all of these in themselves were fleeting and transitory. Ultimately, he found that the whole of man was “to fear God and keep His commandments”(Eccl. 12:13). When our lives are right with God and we’re serving Him to the best of our ability we experience joy, peace, and purpose. 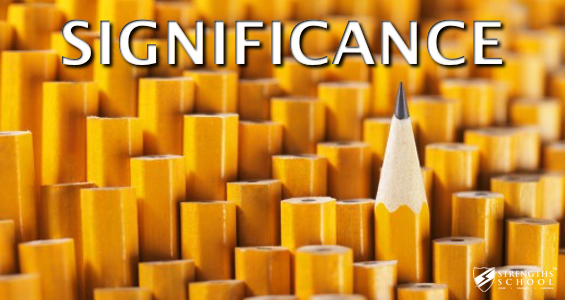 We find our true significance in Him. And in fulfilling his purpose for our lives. This, of course, involves other people. Our friends, family, fellow-man, and our brethren. Actually, when we focus on making a difference in the lives of others, we discover our own significance. Too many in our culture have been duped by the lure of success as an end within itself. Whatever we achieve in life should only be the means to an end–to a greater good. Our purpose rises far beyond personal fulfillment, career advancement, and financial prosperity. Whatever true significance we may achieve hinges on understanding the greatness of God, the importance of serving others, and that life is not all about me. It isn’t so much what we don’t know, as what we know that ain’t so. If the Rick Warren you mentioned in this article is the same man who debated the once atheist Anthony Flew in Irving Texas back in the mid 1970’s, I applaud his efforts. Mr. Flew later on became a believer in the existence of God!